Hi Friends ! so after a long weekend of desserts, home-cook meals, and I must admit, – some rice lol I wanted to throw in some veggies into the diet 😛 I know what you are thinking -PIZZA sarah? really?? So before you all go crazy on me. I would like to say that I tried my best to cut down on the calories without having to sacrifice any of the taste. Now who doesn’t like the sound of that? So this recipe here, has no surprises and most of all is pretty straight forward. 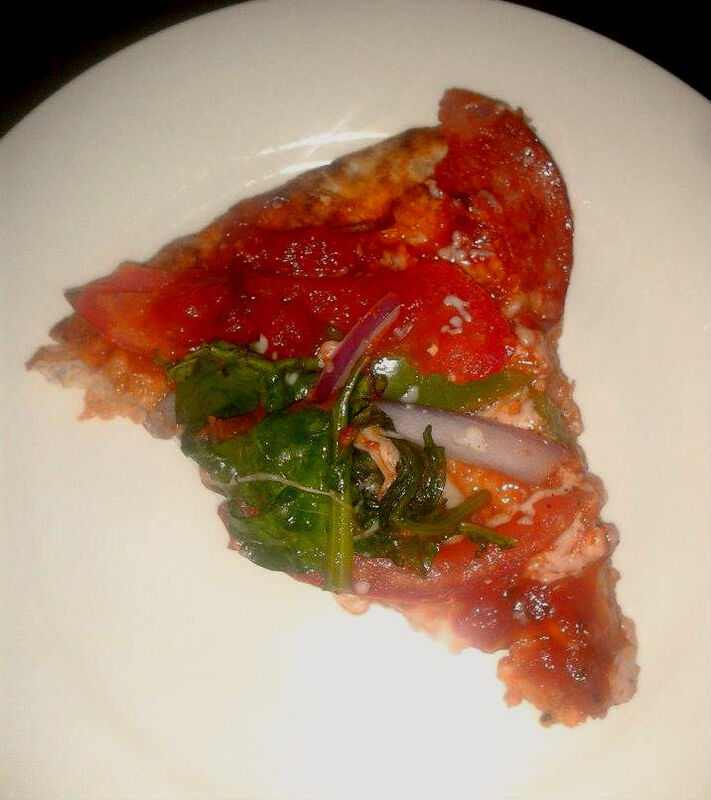 Ultimately, I just wanted to share which ingredients I used to make this delicious pizza. 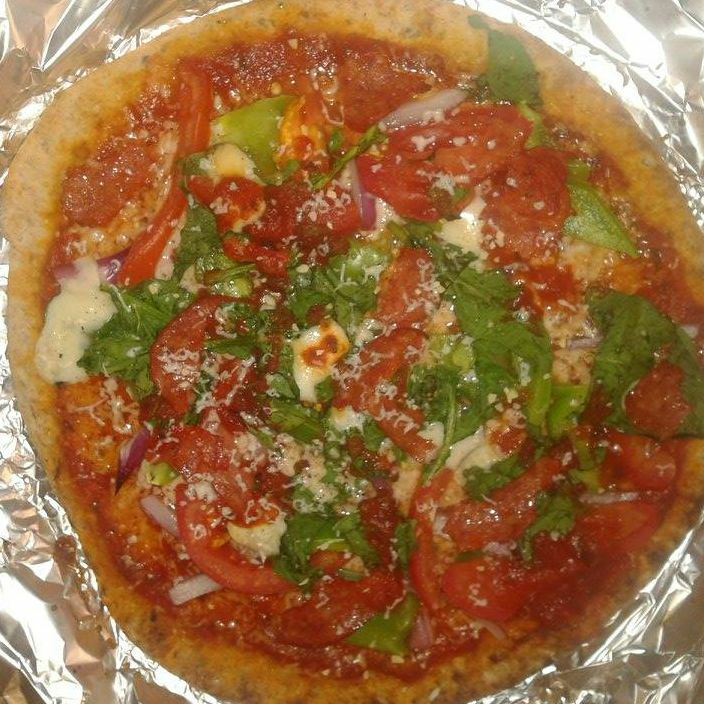 1. you are going to want to buy a whole-grain ready-made pizza crust. I personally chose, President’s Choice Multigrain Thin Pizza Crust which is a part of their Blue Menu; It is a source of omega-3 polyunsaturates per 50g, as well as 2g of fibre per 50g. 2. Spread the following tomato sauce on the surface of your pizza crust leaving out the edges for the crust. Ragu Brand -Tomato and Basil Light which contains 33% Less calories. 4. Follow by adding your chosen ingredients and fresh veggies. For My personal pizza I chose Spinach, Green Peppers, Red Onion, Tomatoes, Smoked Pepperoni, Garlic Flakes and a pinch of pepper. 5.Pop this pizza into the oven on 400F for about 10 minutes or until you see the pizza crust or cheese starting to brown. That’s it ! Enjoy !! Happy Tuesday Everyone! !